Although Oxford has recently surpassed London in terms of the least affordable UK cities to live in, The Independent lists Greater London at a solid second, with an average home price growth of 57 percent over the past five years. With rising costs of living, it only makes sense for residents to seek the best financial guidance possible to ensure that they can meet their financial goals, whether they be short-term or long-term. While finding a financial adviser in London might be easy, finding the right London wealth management firm for you and your family is a much harder task. The sheer quantity of London financial advisers only increases the challenges that London residents face when selecting one. To make the process of selecting an adviser into an easier, more efficient process, we have assembled a list of the top financial advisers in London to give you a leg up on your way to financial success. When it comes to choosing the best London financial advisor, there are plenty of firms to choose from. With so many options to consider, how can you narrow the search? First, take a close look at what each financial advisor in London has to offer, and match those services up with your own personal financial goals. 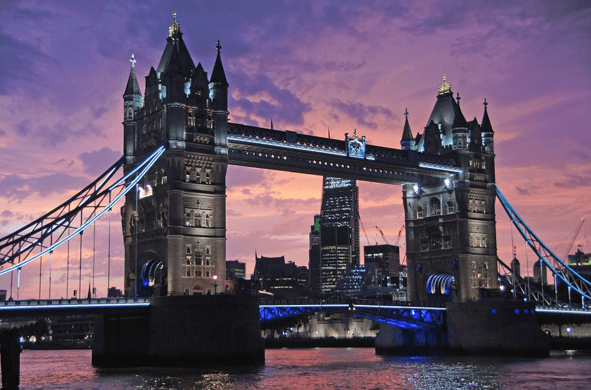 As you will see in the following reviews for London wealth management firms, each London financial advisor specializes in varying areas of financial planning and wealth management. If your needs are of a broader nature and you wish to have peace of mind through simple yet comprehensive financial planning, you may be well-suited with a London financial planner that offers a broader range of services. Once you’ve narrowed down your choices to a select few of these top-ranking London wealth management firms, see if any of your selected advisors offers an introductory consultation session. Whether it’s a free or paid consultation, this can be a good way to “feel out” a prospective financial advisor in London before committing to their services. 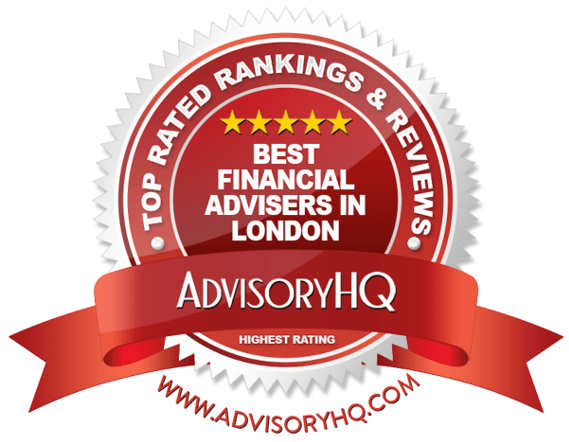 Below, please find a detailed review of the top financial advisors in London. We have highlighted some of the factors that allowed each London wealth management firm to score so highly in our selection ranking. Click on any of the names below to go directly to the review section for that London advisory and wealth management firm. Alexander House Financial Services Ltd (AHFS) is a London IFA with local advisors spread all across the UK. With individual, corporate, and specialized services, this top London financial adviser strives to integrate traditional values, modern thinking, and transparent advice into all that they do. AHFS does not explicitly say whether they are a fee-only or fee-based London wealth management firm. You can find more information on their compensation structure on their website. While this London wealth management firm does not call itself either fee-only or fee-based, they are transparent about what their fees are for different services, representing a strong, client-facing commitment. Acquiring the services of a financial planner in London can help you answer these questions in a way that will keep you secure moving forward. For anyone who is looking for the best wealth management firms in London, it’s hard to beat Alexander House Financial Services. With a diverse range of services, a transparent fee structure, a talented team, and multiple offices across the UK, Alexander House Financial Services is one of the top London financial advisors to consider partnering with this year. Founded in 1998, Attivo Financial Planning is a privately owned, independent, and Chartered group of London financial advisors. Attivo Financial Planning does not specify whether they are a fee-only or fee-based financial advisor in London. As always, we recommend verifying compensation structure before partnering with any wealth management firm in London. The London IFAs at Attivo also have access to professionals that can help with other services, like mortgages, insurance, and wills, extending their resources and providing valuable connections for their clients. Part of what makes Attivo one of the top London financial advisors is their fierce commitment to remaining independent. As an independent firm, the London IFAs at Attivo are not under pressure to promote specific financial products, meaning that their clients receive truly unbiased financial advice. For Attivo, this independence is what truly allows each of their London financial planners to provide the best possible recommendations—and one of the primary reasons why clients choose to partner with the firm. As one of the best London financial advisers, Attivo Financial Planning provides clients with a wide range of financial services and an unwavering commitment to independence, providing a strong foundation for long-term financial planning relationships. With a wholly client-centric model of service and a talented team, Attivo is one of the best financial advisers in London to consider partnering with this year. Established in 2003, Burlington Associates Limited is a top-ranking independent financial adviser in London. Burlington Associates Ltd. identifies itself as a fee-based financial planner that also offers non-financial planning services under a transactional service model. As one of the top independent financial advisers in London, the firm also offers corporate advice and mortgage assistance, providing a wide range of London wealth management services for clients to choose from. As leading financial advisers in London, the company offers clients not only dedicated advisers but also alternate touch points within the firm so that their needs are addressed expeditiously. As a top independent financial planner in London, Burlington Associates Limited excels at providing detailed, holistic, and client-based services, with a unique expertise in legal firms, medical and dental professionals, and businesses. However, our review did find some room for improvement, particularly in how the firm’s services and capabilities are communicated. For example, while the firm’s Wealth Management services are explained in great detail, this section is significantly dense (text-heavy), making it difficult to identify exactly what types of services are available. By presenting their services with a more user-friendly approach, Burlington Associates could easily improve both their value proposition to new clients and their rating as a top financial advisor in London. Devonshire Wealth Management is a boutique financial advisor in London that has been around since 1983. 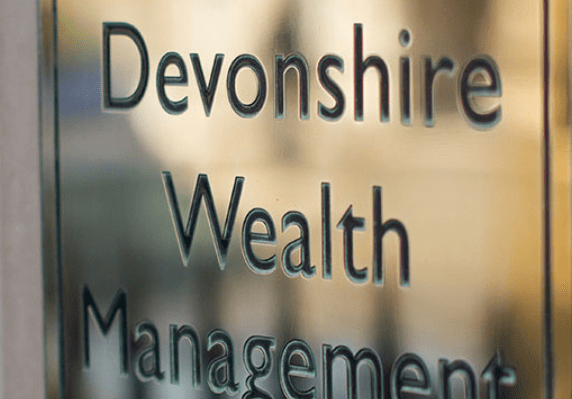 For over three decades, the Devonshire team of London financial advisers has been providing bespoke and transactional financial and wealth management advice and recommendations to clients, with over £100m in assets under management. We could not confirm whether Devonshire is a fee-based or fee-only London wealth management firm. As always, we recommend verifying fee structure before partnering with any financial advisor in London. While the former model works for clients that are looking for a comprehensive wealth management and financial planning relationship with London financial advisers, the latter approach is often suited to the needs of clients who need advice on specific aspects of their financial lives. For new and experienced investors alike, assessing risk is an integral part of the portfolio management process. As a top London IFA, Devonshire maintains a highly client-centric focus, stressing the importance of building relationships and maintaining integrity and professionalism. Although Devonshire excels at providing clients with a strong value proposition, a diverse range of services, and a clean, user-friendly interface, our review did find areas for improvement in how their services are communicated. Without specific details on crucial components like retirement planning, tax and estate planning, or types of investment securities available, potential clients may find it difficult to evaluate the firm’s full range of capabilities. By elaborating on these aspects of their financial services, Devonshire Wealth Management could easily improve both their value proposition to new clients and their rating as one of the best London financial advisers. Originally established in 2005, Foster Denovo is a financial advisor in London with offices across the UK, serving individuals and their families, businesses, and employers. Foster Denovo does not explicitly describe itself as fee-based or fee-only. As always, we recommend verifying compensation structure before partnering with a financial advisor in London. 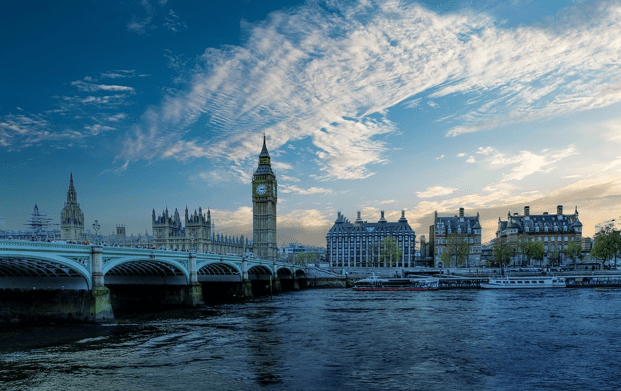 With a range of comprehensive services, the London financial advisers at Foster Denovo can work alongside clients to help them accomplish both long-term and short-term goals. For many clients, part of finding the best financial advisor in London is finding a firm with an accredited, talented staff. Industry accreditations demonstrate a commitment to excellence, but they also show that an advisor is up-to-date on best industry practices. As a top wealth management firm in London, Foster Denovo provides clients with a wide range of services and educational resources, solidifying their rating as one of the top London financial advisers. Uniquely, Foster Denovo also excels at providing detailed biographies of each team member, including professional qualifications, history, and specialisms, demonstrating a commitment to building relationships with clients, even before an introductory meeting occurs. Founded in 2003, Holden & Partners is a firm of independent financial advisers in London. The firm delivers a range of bespoke investment and financial advice to its clients, with specific specialisation in sustainable and ethical investments. Holden & Partners’ fee structure depends on the type of service provided, the time spent on delivering those services, and the asset value being advised on. As always, we recommend verifying compensation structure before partnering with any London IFA. Financial goals and situations are subject to fluctuate over time, and this wide range of services makes Holden & Partners a London IFA that clients can confidently sustain a long-term financial planning relationship with. Holden & Partners takes a unique approach to investments, specialising in EST (Ethical, Sustainable, and Thematic) investment options. This allows investors to align their portfolio with their personal principles, while still promoting long-term growth. The London IFAs at Holden & Partners take a research-driven approach to identify companies that are not only profitable, but those that are also making valuable contributions to society and to the environment. Uniquely, this dedication to ethical and environmental responsibility does not stop with EST investments. Holden & Partners maintains an Environmental Policy, which includes external company promotions, professional memberships, environmentally friendly day-to-day policies, and more. For clients looking for a comprehensive, expert, and personalised approach to financial planning, Holden & Partners is a great fit. The founders of the company have deliberately maintained a small footprint, with each adviser managing a reasonable number of clients. This has enabled these London financial advisers to deliver high-quality, one-on-one advice to every client. 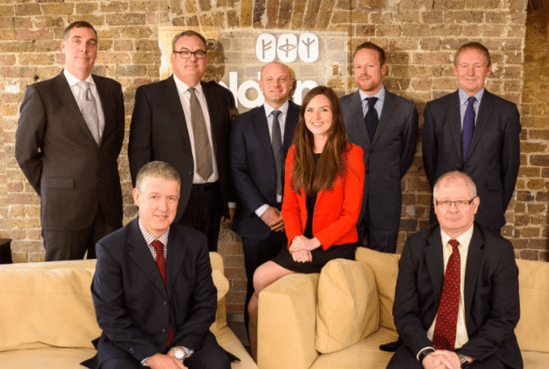 With a unique expertise in ethical investing and an impressive range of financial planning services, Holden & Partners is one of the best financial advisors in London to consider partnering with this year. John Lamb is an independent financial adviser in London that provides clients with expert financial advice to help them both preserve and grow their wealth. As always, we recommend confirming compensation structure before partnering with any London IFA. John Lamb provides clients with an impressive range of financial capabilities and a strong client-centric philosophy, making the firm one of the best London financial advisers for new and seasoned investors alike. With a talented team and a strong list of financial services, John Lamb is one of the top financial advisors in London to consider partnering with this year. Skerritts Chartered Financial Planners is a firm of London IFAs that caters to both personal and corporate clients. The firm does not explicitly say whether they are a fee-based on fee-only wealth management firm in London. We advise readers to confirm a financial advisors compensation structure before starting a working relationship. Recognised as a top London independent financial adviser, Skerritts has won numerous awards and accolades, including recognition as a top UK IFA by AdvisoryHQ for the past three years. This London wealth management firm has won the New Model Adviser® award seven consecutive times, from 2011 to 2017, and has been the proud finalist for MoneyMarketing’s Adviser Awards in two categories. The firm also has the distinction of being amongst a select group of independent financial advisers in the South East to serve clients as both discretionary investment managers (DIMs) as well as Chartered Financial Planners (CFPs). As a top London IFA, Skerritts Chartered Financial Planners provides clients with clear benefits through independent advice from a strong, talented advisory team. With a wide range of financial services, a commitment to independence, and a strong team, Skerritts is one of the best London IFAs to consider partnering with this year. Founded in 2007, Strabens Hall is an independent, fee-based London wealth management firm that specialises in financial planning, investments, and wealth structuring. Along with serving clients across the UK, this London IFA also maintains an office in Hong Kong to provide wealth management to clients in South East Asia and Europe. To be successful over the long-term, financial planning should be both comprehensive and customised, fitting each client’s needs as they fluctuate over time. For clients that must navigate global and UK tax systems, partnering with an experienced London IFA like Strabens Hall can help eliminate the confusion and complexity of creating effective planning solutions across a range of jurisdictions. Whether they are looking for incremental or ongoing financial advice, Strabens Hall provides their clients with comprehensive and personalised financial planning strategies, making the firm a great choice for new and experienced investors alike. Additionally, with a unique global perspective, Strabens Hall is one of the best financial advisors in London for individuals or businesses with multi-jurisdictional challenges to consider partnering with this year. As you can see, many of the best London financial advisers share common traits: a client-centric approach, a wide range of services, and a long-term focus on your success. It would be hard to go wrong with any of these advisors in London. But of course, not every firm—no matter how rigorous our research and methodology may be—is going to be right for you. This means a little bit of research on your part. Which London IFA meshes with your worldview? Which financial planner in London offers the services, investment opportunities, and type of relationship that you are looking for in a firm that’s going to handle your money and your future? After all, you have specific needs, goals, and dreams for your money and your future. Just as you are not a one-size-fits-all type of client, neither are these advisors a one-size-fits-all solution.